Matthew Quinn is a very special friend of the JTYAF and describes John as 'the friend he never met.' 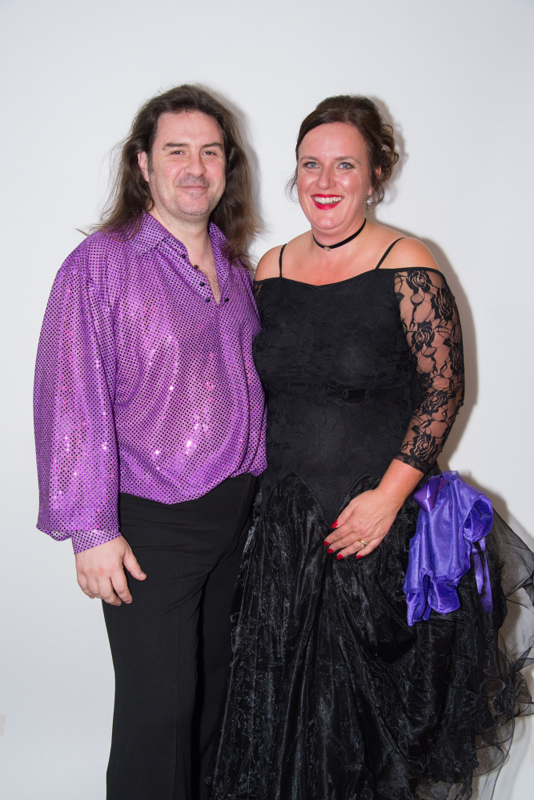 Strictly Dalmahoy was Matthew's third big charity event in aid of the JTYAF and other charities and we just can't thank him enough for his commitment and energy which ensured the success of this incredible evening. More than £20,000 was raised by this fantastic event which will benefit the JTYAF and the PBC Foundation making a huge difference to the lives of many young people and providing invaluable support to those affected by Primary Biliary Cholangitis. Thanks must go to everyone involved in Strictly Dalamahoy but particularly the fabulous dancers, Scott Kelly, Linda Humphries, Ginny Lawson, Peter Chrysanthou, TJ Jennings, and Chris Mitchell-Thain. Also to the professionals, the judges and all those who worked tirelessly behind the scenes. A big thank you to Shambles who did a splendid job representing the JTYAF and thanks to the Dalmahoy Edinburgh for their generous support of this event. Matthew describes 'The Making of Strictly' and also takes us through the excitement and sparkle that was Strictly Dalmahoy on Friday November 6th. Then I met Robert Mitchell-Thain who had attended a presentation skills course I was running as a delegate. In conversation, he told me about how he worked for a charity – the PBC Foundation – set up by his mother, a PBC sufferer and how he knew my home town as they had recently done an event there….. An event that had the theme of “Strictly Come Dancing”. I knew of this event, because a friend of mine; a local builder’s mate, had won it. I remember being aghast that “The Dazzler” had got his dancing shoes on and won something like this, but I had never considered putting a similar event on, because I didn’t have the contacts. However, Robert did! Robert knew professional dancers, he knew the AV man, he had venues for practice and he knew how the event should run. What he didn’t have was a venue to run it on a big scale, or 200 people who would pay £90 a head for a dinner, or, most important, 6 people who would be game enough to learn to dance for charity in a short space of time. That’s where I came in. Plans were made, tasks set out and off we went. My first call was to my friend Scott Kelly, famous for never saying no to anything. Scott was in straight away – immediately selling 3 tables and ordering a sequined suit! Next in the bag was my sister in law, Linda Humphries. She took a little persuading, but she and I both knew how good this would be for her and in a short time she was my second “celebrity”. My next target was Ginny Lawson. Her children were at school with my daughter and when I was asking around, her name kept coming up. She was, coincidentally an old friend of the wife of a former comrade of mine from the army and once I had enough people that I knew would encourage her, I asked the question. Ginny was in! Then, in quick succession came the next two. I had asked the Country Manager of a Scottish based client, she had refused, but said that she may have an idea. A call came through, and her husband, Peter Chrysanthou was on board, along with the wife of her financial controller, TJ Jennings. I needed one more male dancer. I already knew Robert’s brother Chris through business, and between us we convinced Chris that in order to help the charity that his mum had founded, he should dance. Sighing, and looking like a trapped tiger, he agreed….. All the dancers were in, now, so long as nobody lost their bottle, or had an injury, we had a show. Robert got himself together with the professional dancers and the practice sessions and I started to work with our charity partners, the PBC Foundation on the running of the night, table sales and auction prizes. By the time that Shambles stood up on the gleaming dancefloor at the Dalmahoy Hotel to introduce the John Thornton Young Achiever’s Foundation, we had sold 237 places at the dinner, had 6 couples ready to dance their hearts out and a smattering of auction prizes ready to go. Shambles had the guests on the edge of their seats with the eloquent way he talked through the charity’s history, goals and ethos. He was followed by Collette Thain MBE, founder of the PBC Foundation and I was once again struck by how much like our very own Pete and Linda Thornton she is. Her heart totally belongs to the cause, her whole focus is on it’s good work and the way she goes about her daily life is a huge inspiration to everyone around us – just like the Thornton family who are the reason that we really get ourselves into organising these things. Once the charities had been introduced, it was my task to take the audience through the night. In introduced our 4 “judges” one of which was Shambles’ very own Fletch! We played games, shouted, laughed and cheered. People threw money into the challenges, the raffle and the auction, we ate great food and drank – a lot! But most important, we watched 6 brave souls take to the floor with their professional dancers. Ginny opened the show with Willie, sparkling across the floor like a seasoned veteran. Scott blasted us with his showmanship with a dance full of action and fun. TJ took her professional around the dancefloor to the tune of “Bad to the Bone”, and she was anything but “bad”. Chris, resplendent in his tight pink top made the audience gasp at his Argentinian Tango. Linda showed the audience what you can really do with a pasa doble, causing the audience to give her a standing ovation and Peter wowed the crowd by spinning his partner in the air, quite a few times. The audience voted and the dancers changed for their second dance. After dessert they came out again. More of the same, the audience was going wild, even throwing their napkins onto the dancefloor after Linda’s 2nd performance, which included a “backwards fall” at the start. More voting, an auction and the results. The three finalists stepped up – Scott, Linda and Peter. They gave their final dance, sponsored by Quigley Hair and Beauty in Edinburgh, who had kindly spent the whole day (as well as the rehearsals) getting the hair and make-up right for the performers – at no cost to us at all! The audience cheered and roared to know the final outcome. Alistair Kinchin, general manager of the Dalmahoy stepped onto the stage to present the prize to the overall winner of the night – the voting was tight (only 2 votes between first and second place), to bring the showman himself, Mr. Scott Kelly, to the winners glory – the first ever recipient of the “Strictly Dalmahoy” trophy. Scott was over the moon as we all retired to the residents bar, tired but happy and ready to spend, since the hotel had promised us 10% of the bar takings as a donation. We did our very best to increase the funds raised, with Shambles and I being amongst the last to go to bed. A great night was had by all – Facebook posts over the next few days were awash with the night of dancing and 2 great charities are now better off due to the efforts of a great team of dancers. As I said my goodbyes the next morning I was stopped a few times by other guests – still happy, but groggy from the night before, and was asked the same question a few times. JL's Smashing it for JT!